The Robo Junior kits come with clear, easy to follow directions. They can be ordered with the circuit board either assembled (no soldering required) or unassembled. These robot kits are ideal for someone just beginning to explore the world of robotics. Robo Jr. is a basic line-tracing robot. It follows a path laid out for it along a floor or other smooth surface. The path must be a dark line on a light background. The colours are not important, but it will not work if there is not sufficient contrast. 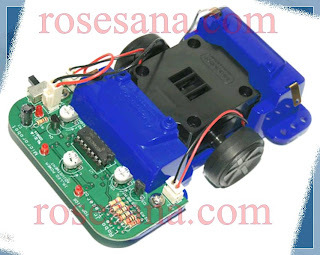 Robo Jr. has two infrared emitters on it front along with two sensors. One pair is on the left, the other on the right. Each emitter projects infrared light onto the floor. The amount of light reflected back from the dark line differs from that reflected from the floor; thus it can tell where the dark line is. Each sensor controls a motor, enabling it to follow the line. * Follows a dark line on a light background. * "Sees" the line with infrared sensors. * Gearbox included in motor assembly. 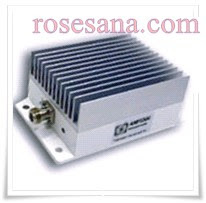 Full output power of 10 W is achieved with only 16 mW input to the amplifier. Above 16 mW input, the SmartAmp™ attenuates the input signal power and maintains the output power typically at 10W. The built-in dynamic power sensor in SmartAmp™ adjusts the Radio Frequency (RF) power output level by reading the input signal power. This Automatic Gain Control (AGC) Technology, Teletronics' patented technology effectively making the RF amplifiers "Plug & Play" delivers the maximum output power at various input levels while keeping the distortion at a minimum. Ideal for increasing the range of low power devices and to compensate for cable loss in certain installations. 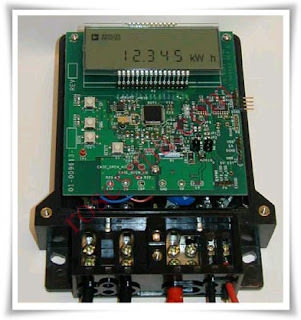 The ADE7166/ADE7169/ADE7566/ADE7569 evaluation kit includes a full energy metering reference design with Class 1 meter accuracy. Firmware, developed in C, is provided to demonstrate a fully working single phase energy metering design. The kit comes with a UART connection, single pin emulation pod and an isolated USB to UART converter for communication and debugging purposes. Both IAR and Keil development tool are provided with this evaluation kit. The evaluation kit includes a CD that provides all of the associated documentation, tools and drivers to set up and use the ADE7166/ADE7169/ADE7566/ADE7569 reference meter. TPA81, 8 pixel array of thermal sensors that can detect a candle flame at a distance of 2 meters (not disturbed by ambient light). And can detect human body heat. Dimension: 31mm (D) x 18mm (L). - Power supply: 5 VDC / 5 mA (typ). - Range temperature: 4 ° C - 100 ° C.
- Accuracy (Full FOV): ± 3 ° C at a temperature of 4 ° C - 10 ° C; ± 2 ° C ± 2% at a temperature of 10 ° C to 100 ° C.
- The point of view: 41 ° x 6 ° to 8 pixels (each pixel 5 ° x 6 °). - Measurement: 8 + 1 pixel ambient temperature. - There are 1 pin port to control the servo motor (step 32 to 180 °). SRF08 Ultrasonic sensor module measuring distances with I2C interface. Dimensions: 24mm (D) x 20mm (L) x 17mm (T). - Power supply: 5 VDC / 15 mA (typ). - Frequency of work: 40 kHz. - Range of measurement: 3 cm - 6 meters. - Gain Analog: 32 step (variable from 94 to 1025). - Unit of distance: uS, mm or inches. - Fully timed echo, not burdened with the host controller to trigger the module. - Multiple echo, still looking for after receiving the first echo. - Equipped with Light Sensor. SRF04 is a set of ultrasonic transmitter and receiver which is used to measure the distance. The distance measured object can be determined by calculating the time between the moment when transmitting and receiving signals reflected signal. Temperature & Humidity Sensor module is an intelligent system of sensors that can measure the amount of temperature & relative humidity in the air around the sensor. This module has a digital data output is calibrated so that it can be used directly without additional calculations. as well as other applications that require temperature information and / or relative humidity of air. - Range of measurement of temperature is -40 º C to +123.8 º C with a resolution of ± 0.1 º C.
- Accuracy of temperature measurement is ± 0.5 º C with the sensor response time from 5 to 30 seconds. - Humidity measurement range is 0% to 100% RH (Relative Humidity) with a resolution of ± 0.1% RH. - Accuracy of humidity measurement is ± 4.5% RH with the sensor response time 8 seconds. - Having a digital interface option 2, ie UART TTL (38,400 bps) and I ² C (maximum 50 kHz clock). - Line input / output voltage levels are compatible with TTL or CMOS. 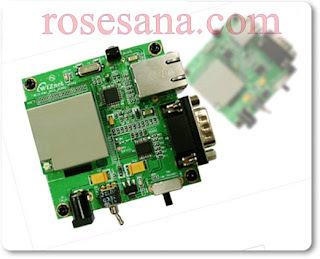 - Maximum of 8 modules DT-SENSE Temperature & Humidity Sensor can be in-cascade within 1 point I ² C-bus (with 1 master). 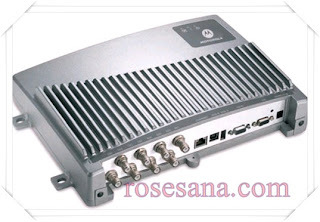 - Requires power supply 4.8 V - 5.4 V DC. - There are examples of applications using the DT-AVR Low Cost Nano System in C (CodeVisionAVR ©) to monitor the temperature and humidity. 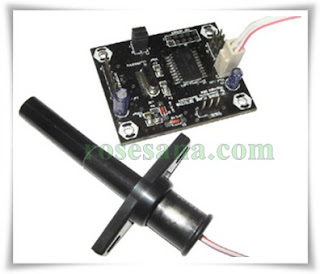 Barometric Pressure & Temperature Sensor module is an intelligent sensor-based system capable of measuring HP03 amount of air pressure and temperature around the sensor. This module outputs a digital data that have been calibrated so that it can directly be used without too much additional computation. Example applications include modules for measurement and control system of air pressure, the system barometer / altimeter, products, weather forecasts, or other applications which uses air pressure information and temperature. - Requires power supply from 4.5 to 5.5 volts DC. - Range of measurement of air pressure is 300 hpa to 1100 hpa hpa-resolution 0.1 (hectopascal). 1 hectopascal = 1 millibar. - Accuracy pressure measurement is ± 1.5 hpa. - Range of measurement of air temperature is -20 º C to 60 º C with a resolution of 0.1 º C.
- Accuracy of temperature measurement is ± 0.8 º C.
- Having 2 options TTL UART interface ie (38,400 bps) and I ² C (max bit rate 100 kHz). 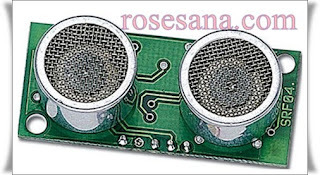 The Flame Detector module is smart sensor system that detect flame as small as a candle light. This modules capable automatically locate flame with standard servo motor supported. One of the application example of this module is in robot flame detector. - Base on microcntroller and eye flame sensor. 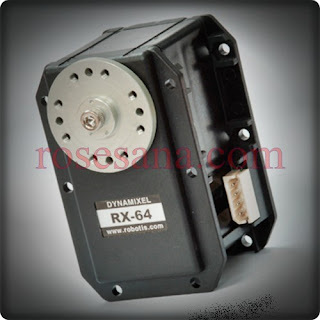 - Can Adjust standard servo motor (tipe 180°) with 1° precision. 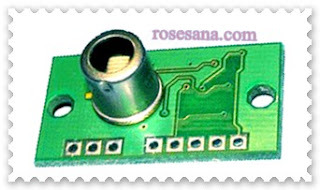 - I/O port compatible with level TTL and CMOS. - UART TTL interface (baud rate 38400 bps) and I²C (bit rate max 50 kHz). - Max. raw data read 15 mili second (maksimum). - Power Supply DC 4,8 - 5,4 Volt. - C language (CodeVisionAVR©) example ready. 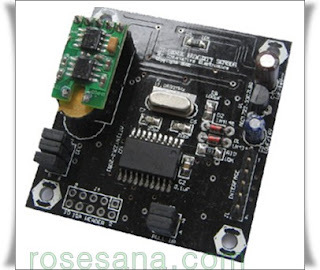 IR Proximity Detector module is smart sensor system use for detect any object in ± 5 - 25 cm range detection. Application example is for smart robot system, proximity switch, and many other application that need object detecting. 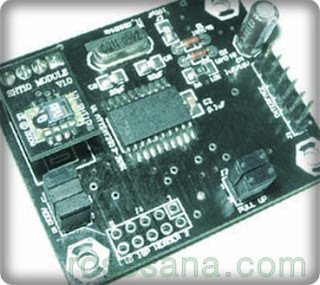 - Consist of 2 sensor module that can work separately or collective. - detection distance tolerance +3 cm from default range detection. - UART TTL interface (baud rate 38400 bps) and I²C (bit rate max 100 kHz). - I²C addressing manageable by program. - Application example in C language (CodeVisionAVR©). 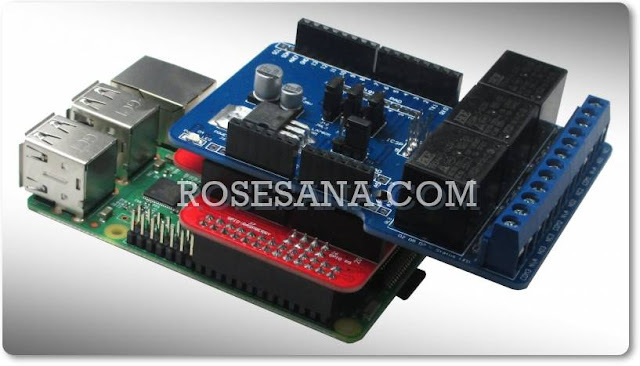 Humidity Sensor module is a smart module sensor system base on HH10D that can measure air relative humidity. 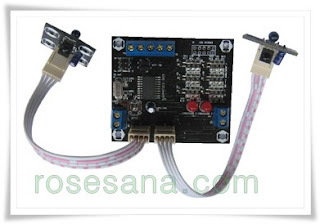 This module has full calibrate digital output that can use directly without any additional component. Application in HVAC (Heating, Ventilating, and Air Conditioning), Micro-climate controller, weather station or many more application that relative humidity needed. 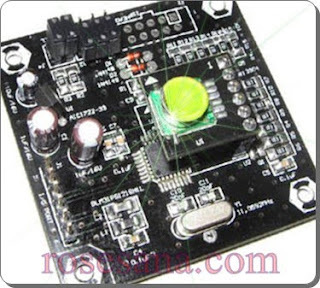 - Base on microcontroler and HH10D sensor module. - Humidity measurement range 1 - 99 %RH. - Humidity measure precision ± 3 %RH. - Humidity measure Resolution ± 0,1 %RH. - Time frame read and measurement 2 mili second max. - Available Application example in C language (CodeVisionAVR©). The XR Series Readers from Motorola offer maximum functionality for large-scale RFID deployments. This strategic platform is designed to help enterprises achieve competitive advantage by increasing inventory visibility and process efficiency, resulting in reduced costs and improved profitability. Reliable and efficient tag reading in dense RF environments eliminates interference issues associated with multiple RFID readers in close proximity. The standards-based service-oriented architecture enables seamless integration and interoperability with your existing IT infrastructure — and maximum application flexibility. Robust RFID functionality includes support for standard back-end platforms, direct application hosting, and the ability to interact with additional asset automation equipment such as forklifts and conveyor belts. Support for leading business systems includes IBM’s Data Capture and Delivery Solution (DCDS) certified to work with IBM Premises Server 6.1 and 6.0, Microsoft RFID Biz Talk Server 2006 R2 and SAP as well as leading development tools including .NET 2.0 and off-the-shelf applications. The flexible product line can support deployments around the world: the XR450 four port device operates in 902-928 MHz US frequency band and supports other regions, such as China and South Korea. Users can build various robots in their mind with Bioloid kit not just following assembly. The creativity and scientific mind are developed by solving the problems and processing robot assembly. According to professionalism is developed in the latest engineering field, and structure is bulky, object oriented (object oriented) method is trend that is introduced, these technique was generalized in software specially. 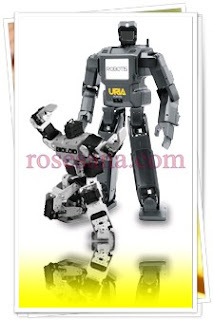 Introduces these concept in robot and is improving compatibility and efficiency that construct robot between robot. Dynamixel is a robot-only Smart Actuator with a new concept integrating speed reducer, controller, driver, network function, etc. into one module. Dynamixel is built up with all-round combining structure and it is possible to connect one Structure another with various forms. You can design a robot easily as if assembling a block toy by using option frame for Dynamixel. Dynamixel is connected with Daisy Chain and it is easy to wire one another. Sensing & Measuring Position, Temperature, Load, Input Voltage, etc. The Dynamixel series robot actuator is a smart, modular actuator that incorporates a gear reducer, a precision DC motor and a control circuitry with networking functionality, all in a single package. Despite its compact size, it can produce high torque and is made with high quality materials to provide the necessary strength and structural resilience to withstand large external forces. It also has the ability to detect and act upon internal conditions such as changes in internal temperature or supply voltage. 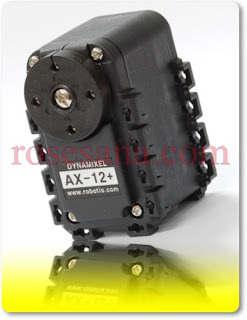 The Dynamixel series robot actuator has many advantages over similar products. Feedback Position, Temperature, Load, Input Voltage, etc.